Why not be a PR pro’s favorite fuel? We only drink it about five times a day. This is for the more crafty costume engineers. 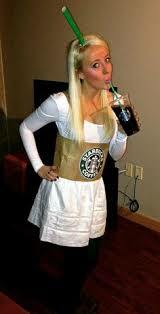 Wear a white dress and create a cardboard belt with the Starbucks logo on it. Write your order on the side of your dress, and be sure to spell your name horrifically wrong for an extra touch of authenticity. This will definitely bring home the “most original” prize. It’s a creative and simple costume to be a professional’s favorite networking tool. Simply get a large piece of cardboard and cut out a square for your face. You can then screen shot and print off your LinkedIn page and paste it on the front. Maybe you’ll even make some connections while you’re dressed up. Throw on your sassiest suit jacket, some pearl earrings, and curl your hair. This costume also just became so much easier because the retailer The Limited has recently launched an Olivia Pope line. Another bonus? The clothes are so cute and anything you buy you can re-wear for your internships in the future. However, be careful not to ruin your good suit! Also, be prepared to potentially run into other Olivia Popes since Scandal is such a popular show. This is a great opportunity to collaborate with a friend. You can pick any iconic celebrity you’d like. One friend dress as the star, and the other as their publicist. You can make this really funny by pretending to herd the celebrity around. You can even jump in front of photos and yell, “No pictures please!” Throw in a pair of dark shades for extra incognito effect to show you mean business. When in doubt, always be a zombie. It’s such an easy costume, all it requires is some make up. If you have old business shirts that you might have stained, rip them up a little bit to complete the look. 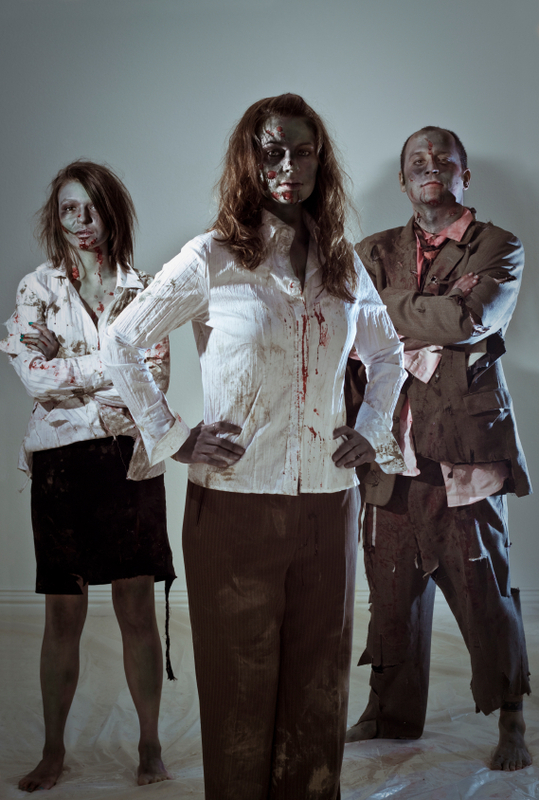 However, this would still look great if you wore a suite and added some undead effects to your face. You’d be keeping true to your PR passion in the apocalypse anyway. The Starbucks Cup: PR Nightmare or Opportunity?